Mitchell Hirsch joined the firm in 1980. He has led the design teams for nearly all of the firm’s performing arts centers and for several towers and master plans. Starting with the Blumenthal North Carolina Performing Arts Center 25 years ago, Mr. Hirsch has directed design teams for over a dozen performing arts and event center projects. His recent work includes Wintrust Arena, a major addition to Chicago’s landmark convention center; the George S. and Dolores Doré Eccles Theater, a performing arts center that anchors the arts district of Salt Lake City, Utah; and Hancher at the University of Iowa, the new home for the state’s premier performing arts venue. Other projects that Mr. Hirsch served as Principal in Charge include The Theatre School at DePaul University, a gateway to the Lincoln Park, Chicago campus; St. Katherine Drexel Chapel at Xavier University of Louisiana in New Orleans; the Renée and Henry Segerstrom Concert Hall at Segerstrom Center for the Arts in Costa Mesa, California; the BOK Center, an 18,000-seat sports and entertainment arena in Tulsa, Oklahoma; the Schuster Performing Arts Center in Dayton, Ohio; and the South Coast Repertory Theater in Costa Mesa, California; and Western Illinois University Center for Performing Arts in Macomb, Illinois. Mr. Hirsch led the design team for one of the firm’s largest cultural projects, the Adrienne Arsht Center for the Performing Arts of Miami-Dade County. He also led the design team for the master plan to develop the Arsht Center neighborhood into a cultural and entertainment district. His work as Principal in Charge includes several commercial projects: Abeno Harukas in Osaka; ARK Hills Sengokuyama Mori Tower in Tokyo; and Mítikah, a mixed-use development in Mexico City that includes a signature tower by Pelli Clarke Pelli Architects. He also led the design team for the Mandarin Oriental Hotel in Shanghai. Mr. Hirsch’s work for higher education includes two master plans for Duke University, the Central Campus and a new arts complex at Duke University, a master plan at Vanderbilt University, and Weber Music Hall at the University of Minnesota-Duluth. Earlier at PCPA as a senior designer, he worked on projects including Carnegie Hall Tower, the 60-story building above the historic New York performance hall, and the Winter Garden of the World Financial Center in New York. 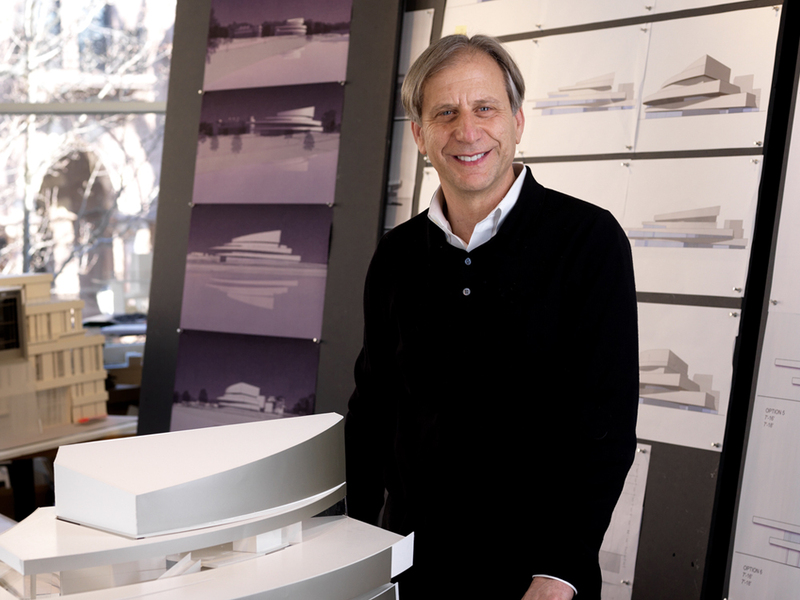 Mr. Hirsch has taught architecture at Yale University and has been a visiting critic at several schools of architecture. He received a Master of Architecture from Yale and a Bachelor of Arts from Lehigh University.